Home » News » Blog 74 19/11/2018 A LITERARY WORLD: Discover the New World of Roma Nova with Author, Alison Morton. Discover the New World of Roma Nova with Author, Alison Morton. Have you ever wondered what it would be like to discover a new world, especially one that is set within the Europe we are familiar with and if circumstances were right, could see ourselves booking a holiday there? Well look no further because today’s guest author to A Literary World, Alison Morton, has created that perfect world. Alison writes the award-winning Roma Nova thriller series featuring modern Praetorian heroines. She blends her deep love of Roman history with six years’ military service and a life of reading crime, adventure and thriller fiction. All six Roma Nova full-length novels have been awarded the BRAG Medallion. 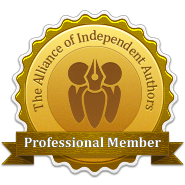 SUCCESSIO, AURELIA and INSURRECTIO were selected as Historical Novel Society’s Indie Editor’s Choices. AURELIA was a finalist in the 2016 HNS Indie Award. SUCCESSIO was selected as an Editor’s Choice in The Bookseller. CARINA is a novella set between INCEPTIO and PERFIDITAS. Quite an achievement. A ‘Roman nut’ since age 11, Alison has misspent decades clambering over Roman sites throughout Europe. She holds an MA History, blogs about Romans and writing. Now she continues to write thrillers, cultivates a Roman herb garden and drinks wine in France with her husband. So without more ado, I’ll hand you over to Alison and let her tell you about the world of Roma Nova. Welcome Alison, it’s a pleasure to have you with us. If you enjoy reading historical fiction, you know you’re entering a world at a particular time separate from the one you know, probably a period of conflict, exciting events or social change and one where the main characters strive to make sense of their world and their place in it. As you immerse yourself, you might wonder what could have happened if things had turned out differently. Suppose X hadn’t met Y or been in place Z at a crucial time? On a larger scale, what if King Harold had won the Battle of Hastings in 1066? Or if Julius Caesar had taken notice of the warning that assassins wanted to murder him on the Ides of March? Or the Spanish Armada had defeated and conquered England in 1588? If Janszoon, Dampier or Cook hadn’t set foot in Australia? Alternative history takes on this ‘what if’ challenge. The stories imagine how things could have developed if the time line had been nudged in a different direction even by a small event. How would that world look and work? What would its people do and think? And how would altering one thing affect the rest of the world? My Roma Nova thrillers set in the 20th and 21st centuries suppose that back in AD 395 when much of the Roman Empire was disintegrating, four hundred traditional Romans left their city and established a colony in the mountains in order to preserve their way of life. Fifteen centuries later, Roma Nova has survived into the modern age. It’s still Roman in nature, but now led by women who fight, work and trade in the same way as any Roma Novan man. As a lifelong ‘Roman nut’ I’ve always been intrigued by the idea of Roman women active in the public sphere, powering the Roman way of life. As a historian, I knew if wouldn’t work that well in an ancient setting, so using historical logic, I shifted my imaginary world into the 20th and 21st centuries. Fusing Rome, strong women and the present together was interesting! I focused on essential Roman values and the characters who inhabit that world. People are a product of their time and location and live naturally within in it; so must our characters. The first three Roma Nova full-length books, INCEPTIO, PERFIDITAS and SUCCESSIO, which feature Carina Mitela, set the scene. INCEPTIO means ‘the beginning’ and so it was, for me and the reader. Two years later, I had become so intrigued by the story of Aurelia, an older character in these first three, that I felt compelled to go back to her story as a young woman. AURELIA, INSURRECTIO and RETALIO were the result. The second three books feed into and feed off the first three: secrets are revealed, characters’ own histories emerge, the story deepens. Every book adds another layer to the whole Roma Nova story, but each one is written as a stand-alone adventure thriller which makes it easier for readers to dip into the series wherever the wish. The old adage that every sentence must contribute to the story is true. And not just plot; the author must work out setting, attitude, values and laws, the feel of the society, the jobs they do, what they grow in their fields, the cars, hobbies, education, children and, of course, who holds the power. But equally important to the inhabitants of a world is their history and their place in it. But few like a history lesson in the middle of a thriller, or a lump of information falling on them so these background details, once researched and checked, must be dripped in naturally as they affect the story. But the curiosity about Aurelia that made me write the second three novels bit again. I’d always enjoyed giving the characters their own backstory as it rounded them out and illuminated how they became the characters they were. Almost without me realising it, the desire to explore incidents in my characters’ lives, delve back into Roma Nova’s earliest days and find out what happened to characters after the main trilogies had been gathering strength. So the collection of short stories – ROMA NOVA EXTRA – sprang into life. Well, it lurched in fits and starts. But this is the huge advantage of writing short stories; each one can be drafted individually in a relatively short time. Of course, the real work starts with the first revision! Seven of the eight in this collection range from 3,000 words to 10,000. At 18,000 words, the eighth story was originally going to be a separate novelette, but it seemed the perfect complement to the others. Together, they cover a historical range from AD 370 to 2029, but they all focus on people and their experiences. Lucius Apulius, a military tribune in the dusk of the Roman Empire, is posted from a plum staff position with one of the most influential commanders at the time to a Danube backwater. The reason? Wrong religion. Eleventh century imperial envoy, Galla Mitela, strives to stop the Norman invasion of 1066. Her descendant, Allegra Mitela, a tough 21st century Praetorian, struggles with her identity and emotional life. How did the eighteen-year-old Imperatrix Silvia, exhausted and lonely after the liberation of Roma Nova in the 1980s, meet her Italian husband? And what was the ancient mystery uncovered by Conrad and Carina during their ‘Roman holiday’? Some are love stories, some are lessons learned, some resolve tensions and unrealistic visions, some are plain adventures, but above all, they are stories of people in dilemmas, in conflict, in trouble and their efforts to resolve them. Thank you for sharing this insight with us, Alison. We will now let you get back to enjoying a well-deserved glass of French wine in your Roman herb garden – which sounds intriguing.